When Apple showcased the future of Messages at WWDC on Monday, many were surprised to see a relic of the internet’s past. When Apple’s senior vice president of software engineering Craig Federighi demoed the new app, many asked, “What’s JibJab?” But others instantly recognised JibJab as the startup behind political parody videos that went viral during the 2004 election. But then, in 2014, after seeing the success of emojis and the birth of a number of messaging apps like WeChat and GroupMe, JibJab decided to focus on content shared within messages. JibJab released a mobile app that allowed users to create personalised gifs they could copy and paste into text messages. 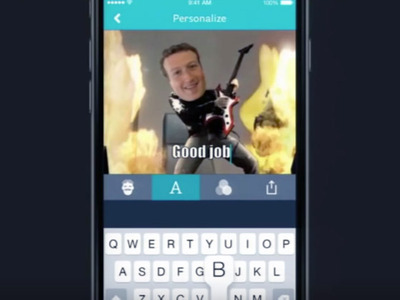 JibJab’s messaging efforts didn’t really pay off until it partnered up with Facebook in 2015. The JibJab for Facebook Messenger app allowed users to create gifs within the Messenger app without the hassle of copy/paste. 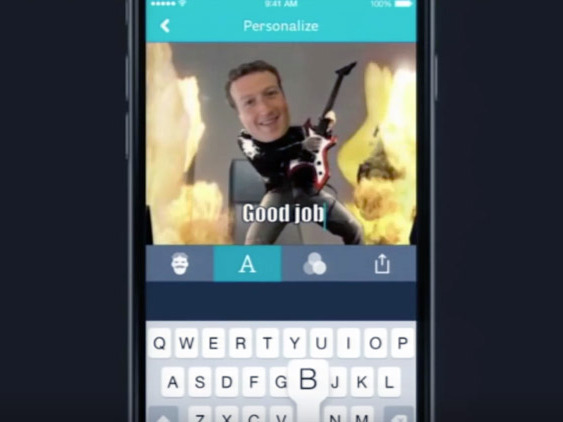 Facebook CEO Mark Zuckerberg introduced the new feature at 2015’s F8 Conference with a gif of himself playing guitar. At the time, Spiridellis told the Tech Times that he expected other messaging platforms to follow Facebook’s lead.